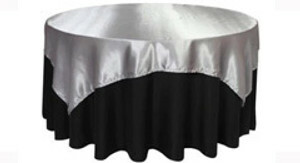 Use high quality satin table overlays to complete the look of your wedding and event tables! Available in a wide array of colors, buy square satin overlays at Your Chair Covers to benefit from the discount wholesale prices that we offer. When choosing table overlays for weddings, don't forget to match the colors with your chair covers and chair sashes. 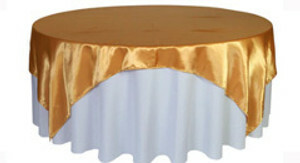 Also available, square organza table overlays.